Came across this today, it is simply amazing and just goes to show the importance of making sure science programs keep a predominant place in schools. The more we interest students in science, the better off we all will be. Political Monday: Do We Need A National Language? Depending on the source you use, the number of countries with an official language varies. The number is high and sits around 146 out of 196 countries[i]. That works out to about 74% of all countries in the world claiming at least one official language. The United States is not one of them. While many arguments are made regarding an official language, both for and against the idea, most end up being political and leave the legitimate arguments behind. Regardless of your position, by understanding the issues surrounding an official language, you will be better prepared to make up your own mind without the stupid political rhetoric bogging you down. First, we must accept there is a de facto official language in use – Americanized English. While many other languages exist in our daily lives, Americanized English (English) is overwhelmingly our primary language. About 1.5% of people in the United States speak no English at all[ii] and almost all are first-generation immigrants. Virtually all second-generation immigrants have, at least, a working knowledge of English. Given its dominance, English is, in effect, our un-official national language. So, why not just make English our official language? As with most issues surrounding a group of 300 million-plus people, answers are not as straightforward as the question implies. While it is easy to stamp a language as “official,” doing so may have unintended consequences. For instance, what about our indigenous people, how do we consider their native languages in this debate? For those of us that only speak English, we may not see the cultural significance of such a matter, and it does matter. Recently, a young member of the Menominee Tribe in Wisconsin was benched from the school basketball team for speaking her native language earlier in the day to a classmate[iii]. It is hard enough today for Native-American Tribes to hold on to their cultural heritage, if we put an official language in place, we must ensure we do not further trample Native-Americans in the process. the famous Navaho Codetalkers[v] . Accepting, for the sake of argument, the suppression had the best of intentions, it remains a blatant example of how we are diminished if we do not honor the cultural differences within our boarders. 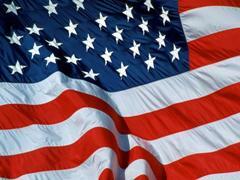 All citizens can take pride by having four-hundred bilingual Navaho-Americans in World War II. Those same four-hundred Navaho-Americans have pride is providing their nations (the Navaho Nations and the United States) with service that saved thousands of lives. Not having an official language has its downside too. Part of being a nation is having a sense of oneness. A common language is a primary means to reach that oneness. Moreover, it simplifies communication and understanding. It is all too easy to classify anyone promoting an official language for the United States as being racist. Surely, there are those out there that see it with bigotry, but it is wrong to lump everyone in that category. Even without English being our official language, knowing it provides benefits, including employment opportunities, education, and social connectivity, to name a few. Without a basic knowledge of English, immigrants are limited to menial labor and advancement is severely impacted in a negative way. Several years ago, I worked in an industry that had a high percentage of non-English speaking employees. It presented management with a real problem in terms of quality, productivity, and worker-safety. In a meeting to find a solution, it was proposed we train our managers to speak Spanish, as most of the workers in question did. It seemed like a good solution until one of our senior managers, who just happened to be Hispanic, pointed out our flaw in thinking that way. As he put it, “if you have a manager that has fifty Hispanic employees working for him and he leaves, you now cannot communicate with fifty employees until you find another Spanish-speaking manager. It is better to train the fifty employees to speak English, if one leaves it does not have near the same impact.” He further went on to explain it helps the immigrant employee feel connected to their new home. It helps them become part of our national identity, and not just a visitor. As a company, we found we could use it as a benefit to our employees. Something we ultimately did. It decreased employee turnover, increased productivity and reduced OSHA related injuries. The cost of educating employees was more than offset in the savings and increased profits the company enjoyed. In the end, it was a true win-win situation. The point is, there are benefits for immigrants learning to speak the language of the country they live in. It does not have to be draconian in nature or repressive of culture. In fact, as the Codetalker incident illustrates, we benefit from bilingual citizens and our citizens benefit from having a national identity. The trick is how to establish a national language and honor cultural differences. This is where the debate should be. Let’s forget all the rhetoric and do something useful for the United States. We must remember, no one of us is as smart as all of us. Therefore, we must engage opinions that differ from our own to find the best solution to a problem. We have a tendency to take ownership of ideas and this means we get defensive when we see them being attacked. A better way to think about it is to take partnership in the solution. Then the best points from all ideas can form the best solution possible. The idea of an official language for the United States is not an earth-shattering topic. If we do or do not pick one the fabric of our daily lives will not change. This makes it a perfect topic to engage others of differing views and set our petty political personas aside. Perhaps by taking a small step with a subject like this, we can learn to do the same on issues that really will shake the world. [i] Wolframalpha. Wolframalpha LLC. Web. 23 Apr. 2012. <http://www.wolframalpha.com/input/?i=number+of+countries+with+an+official+language>. [ii] Shin, Hyon B. and Robert A. Kominski. 2010. Language Use in the United States: 2007, American Community Survey Reports, ACS-12. U.S. Census Bureau, Washington, DC. Web, 23 Apr 2012. [iii] ICTMN Staff. “Student Suspended for Speaking Native American Language.” Indiancountrytodaymedianetwork.com. Indian Country Today Media Network, LLC, 7 Feb. 2012. Web. 23 Apr. 2012. <http://indiancountrytodaymedianetwork.com/2012/02/07/student-suspended-for-speaking-native-american-language-96340>. [iv] “Native American Boarding Schools.” Wikipedia. Wikimedia Foundation, 19 Apr. 2012. Web. 23 Apr. 2012. 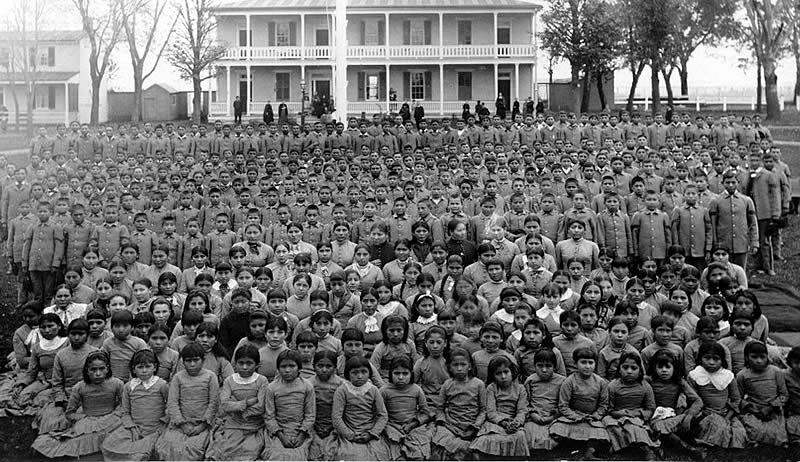 <http://en.wikipedia.org/wiki/Native_American_boarding_schools>. [v] “The Code Talker Story.” Official Site of the Navajo Code Talkers. Navajo Code Talkers Foundation. Web. 23 Apr. 2012. <http://www.navajocodetalkers.org/code_talker_story/>. Right Brain – Left Brain? I have been told I am a smart man. I remember in grade-school being given some test and it being “suggested” to my parents that they put me in a school that could challenge me. I am very grateful they did not follow this advice. School was very boring to me and I never studied, in hindsight that may not be such a bad thing. I received good grades even without applying myself, as was pointed out to me time and time again. I received some bad grades too, but that was due to my lack of caring to even try. Now that is not to say I did not study, I studied and read all the time. It was just on things that held my interest and not what someone else thought I should be working on, of course this led to problems. I never could take the easy path. I use to love reading the encyclopedia. I do miss having a large gilded-edged set at my disposal. Something is lost not having them around. I have been asked often if I was a right brain or left brain person. Right-brain people tend to be dreamers and artistically creative. Left-brainers are technically astute and able to take on monumental tasks and get them done. Given my nature, I sought to left-brain the matter and study the issue. To that end, I have taken many tests to answer the question. Both! I use both ides of my brain equally well. Of course I know a few people that would say I don’t use my brain at all but that is another essay. I am told that people are mostly one or the other but a rare few of us have a holistic method of thought. The question is why, why is that so? I have my mother to thank for it. All those years ago had I been carted off to some school, I am sure I would be a left-brained, burned-out genius that was of little use to anyone. As it is, Mom took the time make sure I was exposed to all kinds of mental stimulation. I can see both poetry and mathematics with equal value. If fact, I see a sort of poetry in mathematics and sure see mathematics in poetry. The interesting thing is I have met a few other people that are “both-brained,” and we do have one thing in common for sure – exposure to science and the arts at an early age. Think of someone like Leonardo da Vinci, he mastered both. It is my feeling that he would have not master either without both playing an important role in his early life. We tend to think of life in terms of right and wrong, black and white with no gray. Or right and left to put in terms more suited to the topic. Absolutes in life are rare, hardly anything is 100% one way or the other. We live in the gray. God gave us a brain, not half a brain, we need to use it all – right and left! In the end, what would art be without science? What would science be without art? I do not know that answer but I do know it sure would be one boring world. Have you a right-brain or a left-brain, it matters not. What is important is to keep in mind a whole-bran requires both artistic and scientific input. It requires and education in both. It is something to think about for sure when the local school board seeks to cut funding for arts programs. Imagine you’ve had a hard week at work with lots of overtime, it’s late on a Friday night, and you are finally heading home. You get into your car, turn the radio on, and play it loud for the ride home. You hope the music along with the breeze of the top being down will help put the stress of the week behind you and you start to drive. Maybe it was because you were tired, perhaps the music had a beat that demanded a little speed, whatever the case, there they are behind you – the ubiquitous flashing blue lights that say the local police department does not share your enthusiasm for going home so quickly. As soon as the officer approaches your car, you can tell your taste in music volume is even less appreciated. Needless to say, your stressful week has just been capped off with a stressful speeding ticket – 50MPH in a 35MPH zone. You sign the ticket and drive the rest of the way home in disgusted silence. Rather than do the simple thing and pay the ticket, this one’s gotten under your skin. You decide to fight it in court; surely, the judge will listen to reason and at the very least reduce the fine. After all, there is insurance to think about. In court, you make your plea with passion and reason, you feel good about the whole thing. That is until the judge begins to speak. Rather than being impressed by your logic, he’s angry with you wasting the courts time and intends on making an example out of you. Instead of a monetary fine, he sentences you to a whipping by his bailiff right then and there. Next thing you know, there you are bent over a table receiving twenty strokes from a paddle that looks more like a boat oar to you. As painful as it was, it was your pride that hurt worse; it humiliated you. If ever such an event took place, who among us would not feel abused? Who would not feel their civil rights had been violated and the punishment was both cruel and unusual? In fact, the Constitution states, “Excessive bail shall not be required… nor cruel and unusual punishments inflicted. [i]” For a speeding offence it would seem unusual at the very least as most motorist pay a monetary fine. Certainly, if the corporal aspect of it left a permanent mark it would be cruel. Maybe that’s why courts don’t use corporal punishment in the United States. Though the circumstances are somewhat different, it is the same sort of dilemma children face in the twenty states that allow corporal punishment in their public schools. A minor rule infraction can bring swift retribution in the form of a spanking at the hands of an administrator or teacher. Everything from chewing gum in class to talking back is eligible for such treatment. What qualifies a person to do this? It is doubtful than any university included in their various teaching programs the proper technique for inflicting just the right amount of pain without damaging the flesh. It all depends on the school personnel involved on how much is enough. How is it we allow our children to receive a punishment at the hands of government officials we see as abusive for adults? If your boss were to paddle you at work for talking back, it is a crime called assault. How is it any different in a school setting? Your boss has other tools to use, everything from a warning to outright firing you. Schools need other tools, better tools. We need to engage students rather than beat them. School systems respond to discipline in various ways with a wide-range of results. We need to see what works best and replace the draconian response of paddling with something better suited to the twenty-first century. Our nation has grown morally since the days when corporal punishment was part of everyday life. Our laws have grown with that morality. We simply need to extend that thinking to the classroom environment. We don’t brand adulterers with an “A” in the center of their forehead, nor should schools raise welts on the rump of a gum-chewing child. [i] “The Constitution of the United States,” Amendment 8. Corporal Punishment – Does it Add Value to Education? Corporal punishment, as a means of discipline in public schools, is currently employed in twenty states. In 2006, over 223,000 students received some form of corporal punishment. Using a national average of 180 school days, that works out to be over 1,200 spankings each day. Even if you believe in the “spare the rod” statement from the Bible, it does not say you get to delegate that authority to the public school system. Proponents of spanking point to the need for discipline in our school systems as justification for the practice, while opponents see it as child abuse. To avoid the argument, it helps to look at the effectiveness of the practice as it relates to discipline in educational settings. First, there can be no question for the need of discipline as it promotes a healthy learning environment. Second, rules must have consequences when they are broken or they effectively do not exist. Much debate takes place over what constitutes a healthy learning environment and just how to enforce rules to promote education. Again, avoiding entanglement in the argument and looking at results sheds some light on the effectiveness of corporal punishment. Figure 1 shows the states allowing corporal punishment. The list goes on and on. There is little use in addressing the veracity of the points as doing so does not address the problem of discipline in education. Truthfully, the one thing the points have in common, they are all irrelevant. The reason for the use of corporal punishment has little, if any, bearing on its effectiveness. In the end, looking at the results of systems that use corporal punishment against those the do not puts its effectiveness into perspective. 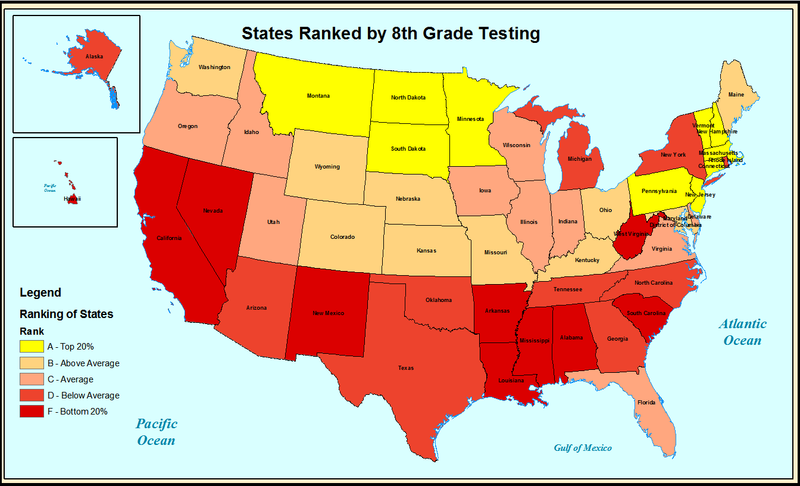 Using data from U.S. Department of Education’s 2009 National Report Card, on the performance of eight-graders, one of two grades tested, state results can be averaged and ranked. Figure 2 shows the states shaded with regard to that performance. The states are shaded yellow to red with yellow representing the top 20% and red the bottom 20% and the others scaled between. No state that allows corporal punishment scored in the top 20%. In fact, 60% of states that allow the practice scored below average or worse. In fact, 12% scored in the bottom 20% of all states. Figure 3 shows the same data only for states allowing corporal punishment. While there is no direct correlation between the use of corporal punishment and poor performance (as densely populated states that do not allow for it, like New York and California also scored poorly), there is correlation that corporal punishment does not enhance the educational performance of students – no state that allows corporal punishment scored in the top 20%. Of course, many other factors come into play, but if corporal punishment does not add to education, just what purpose does it serve? While it is hard to object to a parent giving a little hand a quick “pop” as its reaching for the hot stove, applying the practice to the normal disciplinary actions of our public school system seems extreme. The use of such practices well illustrates the duality within conservative groups that argue for individual rights and responsibility while promoting a state sanctioned punishment that should not exist beyond the realm of parenthood, if at all. Of course the other side is just as guilty of duality by not acknowledging a lack of parental control feeds the problems of discipline but screaming to high hell when a child is punished. Both sides are wrong and prove that dealing in extremes is never the preferred course of action. Our system of education needs improvement. A reasonable path involves looking at that top 20% , the states in yellow, and see what they do differently than the bottom 20%, the ones bleeding red. Only then will we begin to understand how to improve. Even the top 20% need improvement, but until we reach a level of parity, it seems the best actions are to follow their lead. “U.S. : Corporal Punishment and Paddling.” The Center for Effective Discipline. Ed. Nadine A. Block and Robert Fathman. The Center for Effective Discipline. Web. 31 Mar. 2010. “2006 National and State Projections.” Civil Rights Data Collection. U.S. Department of Education. Web. 31 Mar. 2010. Proverbs 13:24. New King James Version. Nashville: Thomas Nelson, 1976. Print. “Reading 2009 Report Viewer.” NAEP – Nation’s Report Card Home. Ed. Richard Struense. United Stated Department of Education, 19 Mar. 2010. Web. 30 Mar. 2010. There is a saying that deals with getting input from many sources before a making a decision, it goes “no one of us is as smart as all of us.” If only we would follow that advice, the world would be a much better place. Still, even when the “us” part is consulted, there is no guarantee the outcome will not be patently boneheaded. This particular idea turned out so bad, we have one “Big Brother” outfit, the FBI, investigating another that’s not normally thought of as “Big Brother,” the Lower Merion School District in Lower Merion Township, PA, a suburb of Philadelphia. It seems the school district gave itself the ability to remotely activate the webcams on 2,300 laptops issued to high school students, even when the laptops are located within the student’s home. What parent, in their right mind, would allow strangers to monitor their children, even in their bedrooms? That’s just it, they didn’t; parents did not even know the laptops had the capability. While current civil legal action brought this to light, the FBI is now investigating whether or not the school district violated various federal laws, including wiretapping. Here’s what we know so far: last November, a vice principal at Harriton High School confronts a sophomore about inappropriate activities the student was involved in within the student’s home and produced photographic evidence to prove it. The student stated the issue concerned drug use, which he denies. The VP claims he took drugs, the student claims he was eating candy. In fairness to the school district, they dispute that they took any improper images, state the vice principal never confronted the student, and that the only time the feature is ever used is to recover a lost or stolen laptop. Here is a link to their website and their statement concerning this issue: School District Response. As intriguing as this is (there is bound to be a made for TV movies soon) focusing on this particular incident misses the much broader problem, the school district gave itself the ability to monitor students anytime they have the computer open. 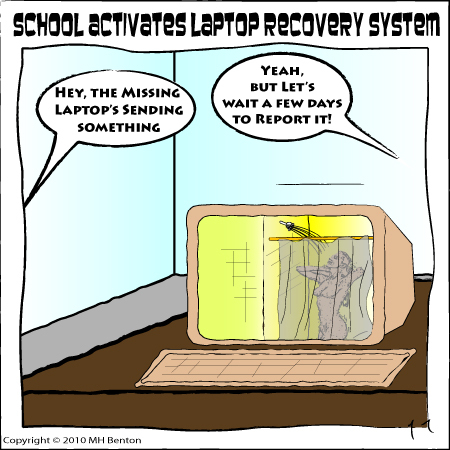 They can claim to the end of days that the ability is only used to recover lost property but they cannot get around it amounting to a government agency placing a “bug” in the home of every high school student that received a laptop. It brings several questions to mind, does the school district have a legal department? If so, why don’t they use them? What morons made this unbelievably bad decision? What are the odds that voters keep the current school board members in the next election? The point is no agency should be allowed unchecked power. The school district is not the police and they do not have the right to investigate crime and gather evidence. More importantly, they do not have the right to serendipitously monitor students within their homes. As the case with the FBI illustrates, regardless of initial intent – ability will be used. This school district may or may not have abused the power, the courts will decide that, but they cannot deny they have the ability. They cannot deny they did not inform parents of this ability. Had they, parents would have revolted against the school board. They had to understand that going into it. It is the only way educated people, with the intent of improving the education of children can possible make such a stupid decision. Punishment Beyond the Crime, Way Beyond! Alexa’s thoughts were no different from most twelve-year old girls that morning, thoughts about her friends and how much she cared for them. Nothing at the start of her school day at Forest Junior High (School 190), in Queens, New York led her to believe it would end with her being handcuffed and hauled away to the local police station. Of course, when you commit a crime that is what happens. Alexa Gonzalez’s crime – doodling “I love my friends Abby and Faith. Lex was here 2/1/10” along with a smiley face, with a marker on her desk. After the initial shock of hearing a twelve-year old girl winds up in custody of the police for something this trivial, it is easy to think there must be more to it. Maybe she was out of control – nope. Perhaps she had drugs on her – think again. It must be she had done this time and time again – not even that. By all accounts, Alexa is a normal well-behaved young lady who simply had a lapse of judgment. How have we come to a place were school systems are so dysfunctional, the police become involved for the smallest infraction? When I was in seventh grade, I remember being paddled for saying the word “damn” in class. I did not even make it to the principal’s office, the teacher handled things right then and there. Of course, I was given the choice of going “down the hall,” as it was called, or taking my corporal punishment. I took my licks, returned to my desk and went back to work learning, case closed. Rather than debate corporal punishment, I heard some of you gasp when you read that, the larger point is a minor infraction was dealt with quickly and effectively and normality resumed in the class. By not addressing small infractions at low levels of authority, that resumption of normality is what is lacking today. A student finding herself tangled up with the law seems commonplace today and happens coast-to-coast (click here to read a West coast example). Before we criticize the school system, we need to understand their point of view. Parents often sue school systems when they take corrective action and the systems become gun-shy regarding discipline. Schools have a legitimate responsibility to provide for the safety of each student and student body, as a whole. The line we ask them to walk, with regard to discipline, is thin, very thin. Over time, we’ve lost something, or forgotten it. When we send our children to school, in addition to educating them, the school fills a quasi-parental role during that time. To that end, a level of order and civility must be maintained, requiring the schools to provide parental-style guidance when called for. Does this mean we allow schools to beat our children, of course not. In the case of doodling, even Alexa expected punishment, something along the lines of detention or cleaning all the desks in class. 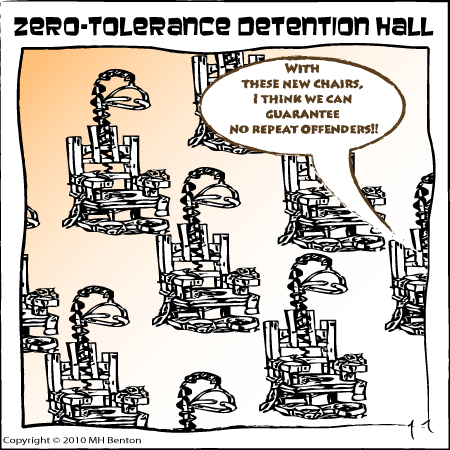 When schools loose the ability to exercise judgment regarding various levels of punishment for small infractions, we end up with the draconian result of a “zero-tolerance” policy. Effectively, schools have turned over all matters of discipline to the police department, which is not equipped or trained in the areas of child development or education. We give the school systems the responsibility to educate our children; a large portion of our tax dollars goes to that end. With responsibility comes rights, schools have a right to expect our children to behave and follow the rules that allow for education to take place. When one child disrupts a class, the disruption affects the other children. We need balance, we need a way that allows schools to function, and infractions dealt with at the lowest level. Alexa paid the price of a society that is out of balance. For the high crime of drawing on a desk, she wound up in the custody of the police. Who benefited… not Alexa, not the other students or the school system, not even the police. The answer is nobody gained anything. The system must change and that change has to restore to schools the ability to punish students that break the rules. Let’s accept that corporal punishment is off the table. If not that, then what? What tools are we to give schools that allow them to maintain order and not worry about ending up with a lawsuit? This is the debate that needs to take place before we end up with all our children having police records for simply being tardy.